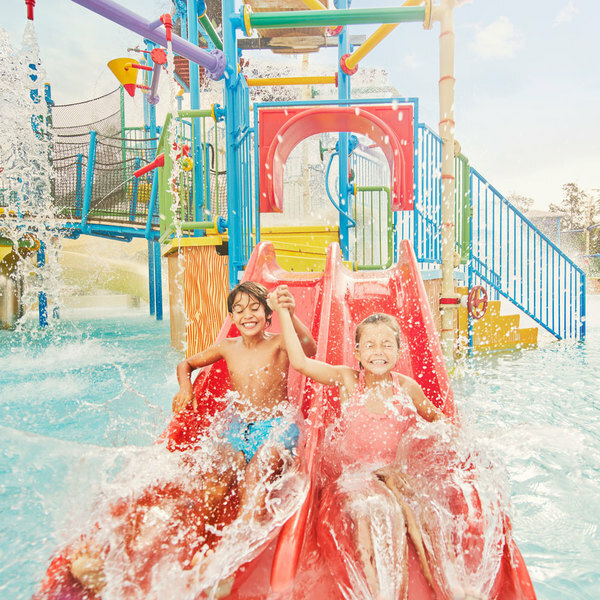 The Junior Body Slides attraction is specially designed for younger children to enjoy a unique experience in the beautiful setting of a tropical island in the Caribbean Sea. Bring the whole family and test your skills in these hilarious games, funny slides and cheeky water jets that will guarantee an unforgettable time. Find this attraction in the “Zona Indoor–El Gran Caribe”. 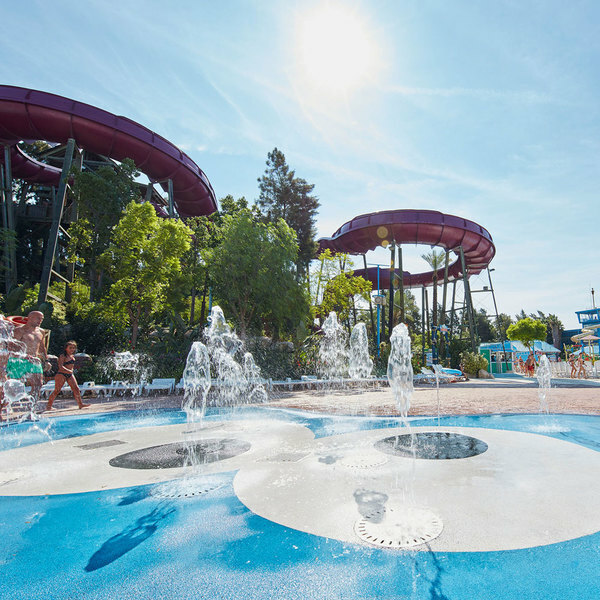 The vivid colours of the buildings and the refreshing water play attractions of Junior Body Slides at PortAventura Caribe Aquatic Park Park will fully immerse visitors in a typically tropical atmosphere. So what are you waiting for?